Rather than just put a face to the opioid epidemic, medical researchers have put a number on its cost in Massachusetts. “We can’t afford not to take action,” said Michael Botticelli, who helped work on the report. As the the executive director of the Grayken Center for Addiction Medicine at Boston Medical Center, Botticelli has noticed that more employers are seeking help to better understand opioid addiction, something that would not have happened years ago without so much attention from the state. 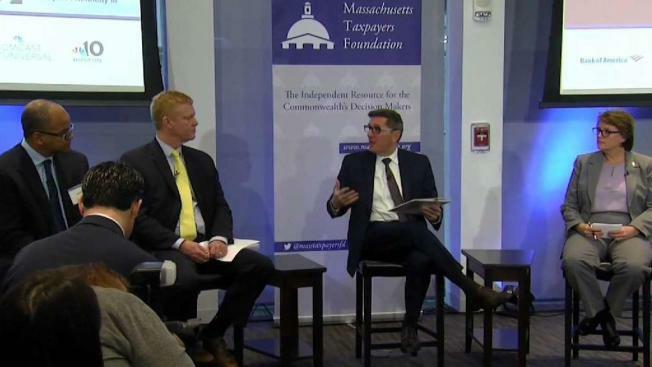 During a forum with state leaders and other advocates on Friday, Governor Charlie Baker acknowledged the problem will take a long time to solve in the stare, however, he urged employers to take charge on the issue. “If you talk to a mom or a dad or a brother or sister who is dealing with this and they start to give you the detail of how much of their life has been invested, skip the money part, but how much of their life and their time and their focus has been invested in trying to help their friend their family member get better. It’s extraordinary,” said the governor. Massachusetts had the fourth highest rate of opioid-related deaths in the nation at 30.2 per 100,000 of population in 2016. As the state works with the medical community to best address the issue, Botticelli said everyone needs to step up to help.